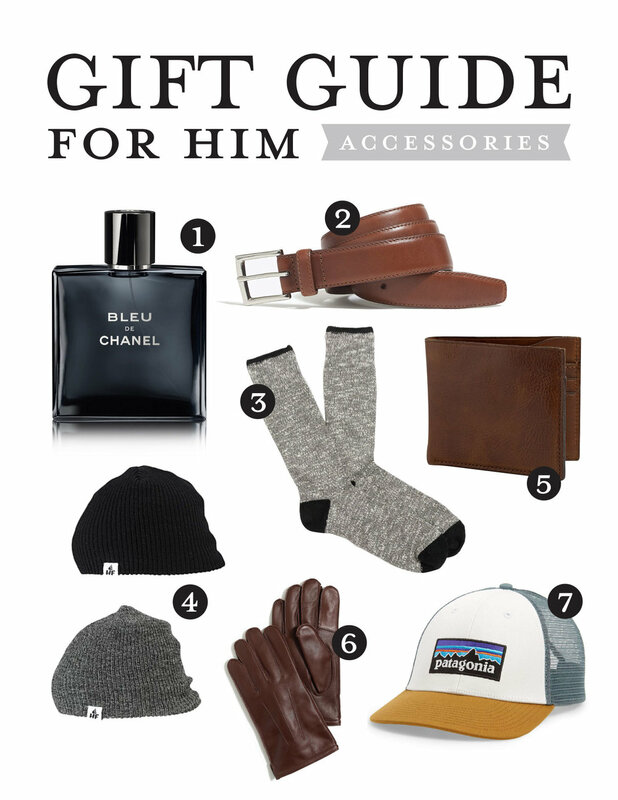 The first gift guide of (hopefully haha) many to come this holiday season! I’m starting off with the men because I always find them hardest to buy for. 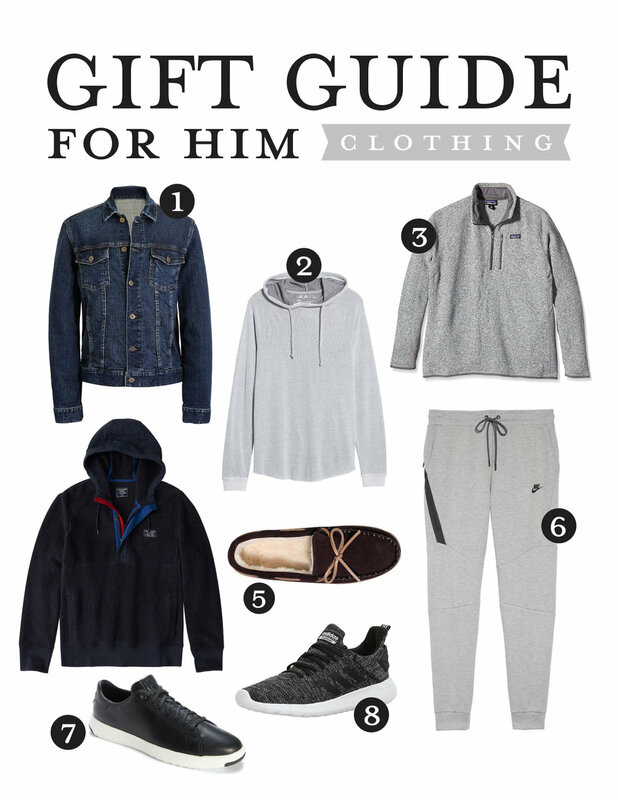 Instead of doing several small gift guides, I compiled one massive one so you can get all the men checked off your list at the same time! My plan with men’s gifts is always to break them into categories based on the interests of the person. My husband really likes sports so I can pretty much purchase anything golf-related for him and be a winner every year. ;) My stepdad is more into clothing and looking nice for work so I usually look for something in that category for him. I broke this guide into the 6 most common categories I use for gift ideas with a few practical ideas for each. If nothing else, I hope this at least gets your creative juices flowing for gifts for your people! I think any of these clothing items are pretty foolproof things that most men would love! I got Cody a denim jacket last year for Christmas, and he has worn it at least once a week since. A nice Patagonia or North Face jacket/pullover is always a safe-bet if you just want to do one bigger-ticket item as well! Why is it that men are always so obsessed with drinks? 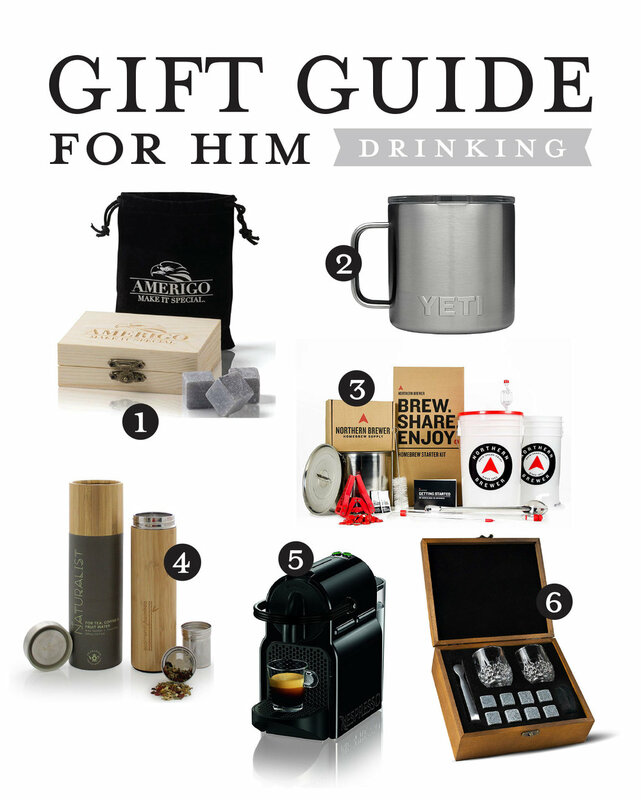 Good coffee, good alcohol, I don’t know but for some reason this category always comes to mind with men’s gifts! Haha! The Yeti Tumbler is great for virtually every man on your list- we got one for both grandpa’s last year, and they were a big hit! We also have one of these Nespresso machines, and they are really fun if you get tired of your keurig everyday! This is more sports-driven, but I also have a few men in my life who really love board games which I think is always a great and unique gift as well. The little air-hockey set is actually a mini tabletop version which I think is about the mot fun thing I’ve ever seen! They have a tabletop pool version also! I actually have one of these hammocks myself (under $50!) and love packing it along on camping trips! I really like this fossil watch too. It has the tech ability to track steps, distance, and calories burned. You can also link it to your phone for text and email notifications as well. Plus it has a nicer, more professional look than a fitbit in my opinion. Cody has been asking for a nice pair of headphones for Christmas this year so I’ve really been eyeing these Bose headphones. They are a bit of a splurge, but I went with the cheaper Target brand for him a few years ago, and they were just not the same. They hurt his ears and sadly got pushed into a drawer and never worn. I will keep an eye on Black Friday sales on these for you so make sure you’re following me in the LiketoKnow.it app for that info! Some great stocking stuffers right here! (PS- who wants to remind my husband that we do stockings?! Haha!). The socks and beanies are both under $15. **Disclaimer: This post contains affiliate links. If you make a purchase from one of the links in this post, I will make a small commission.